Located on the Peninsula just north of internationally renowned Stanford University, the town of Atherton is home to a cosmopolitan population dominated by professionals and prominent figures in government, education, industry, sports, and the arts. 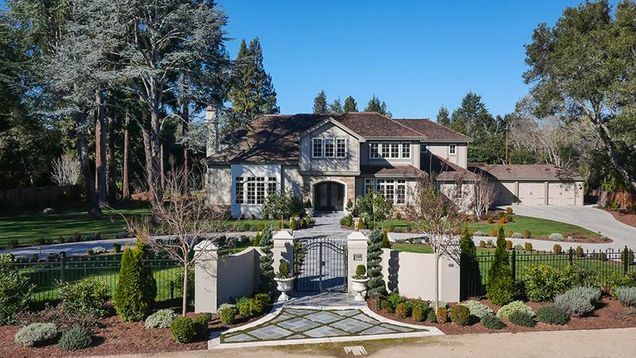 Unlike many of the Bay Area communities, Atherton’s modest population has remained stable over the past two decades — a trend that is expected to continue. The traditionally residential flavor of Atherton is strictly protected by a land-use plan that prohibits commercial or industrial development. Influenced in part by the powerful presence of Stanford University, the outstanding caliber of public and private schools in Atherton not only serves area youth but attracts students from surrounding communities. City planners and residents are finely tuned to the same overall mission: To preserve the advantages of a small town atmosphere in close proximity to all the cultural, recreational, and economic opportunities afforded by the San Francisco Bay Area. Home options range from stately mansions to the clean lines of contemporary styling on spacious properties that are commonly a minimum of one acre.